Services: Hand lettering, mural design, hand painted mural, hand painted logo and signage, window lettering. 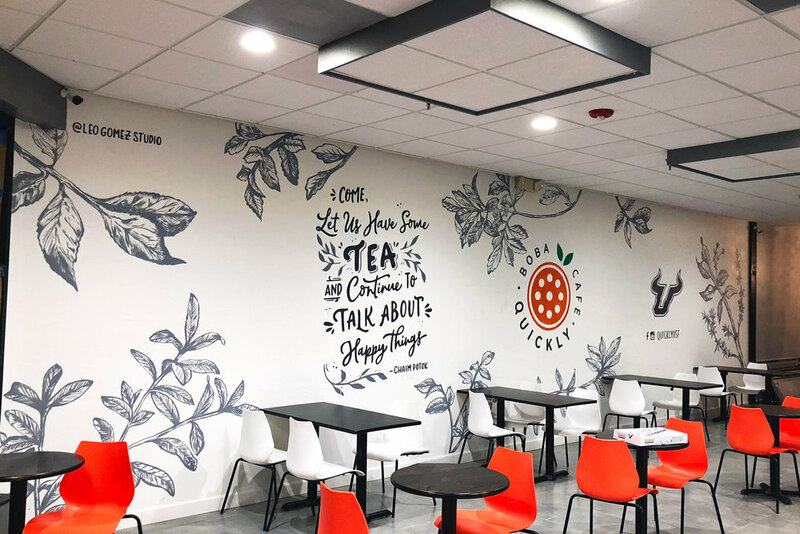 The mural included hand painting several florals and botanical elements, a hand lettered quote and the Quickly Boba Cafe logo. The mural was fully hand painted with a monochromatic color palette. Our goal with the mural was to create a pleasing energy and ultimately welcome everyone to a space of balance and contentment. 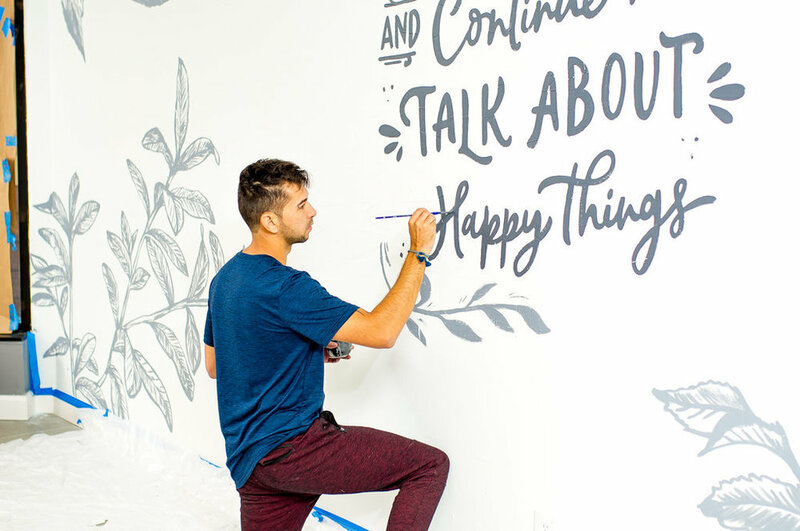 Part of my client's idea for the mural was to include a quote customers could enjoy reading upon walking in the cafe, while having some tea with friends and to take photos with to share on social media. 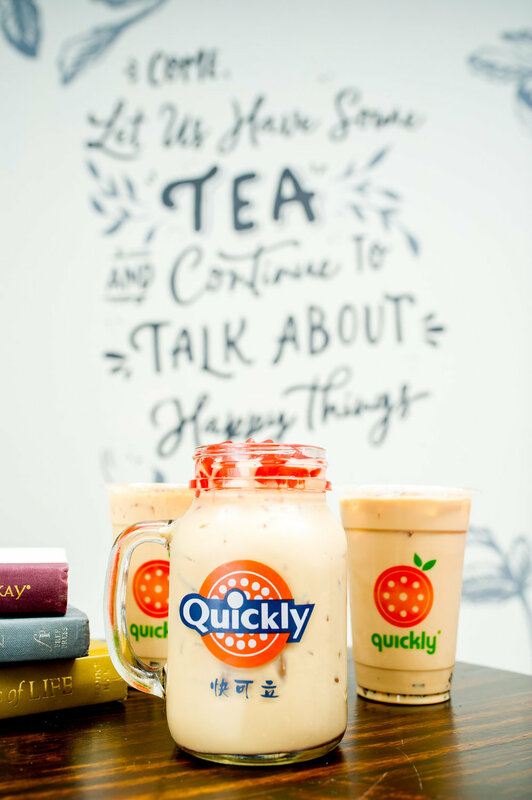 We also wanted to mural to work as a backdrop for product placement, so the shop owners could take and share photos of their products in playful way. In addition to the mural, we worked on in-store signage, window lettering, and exterior signage.